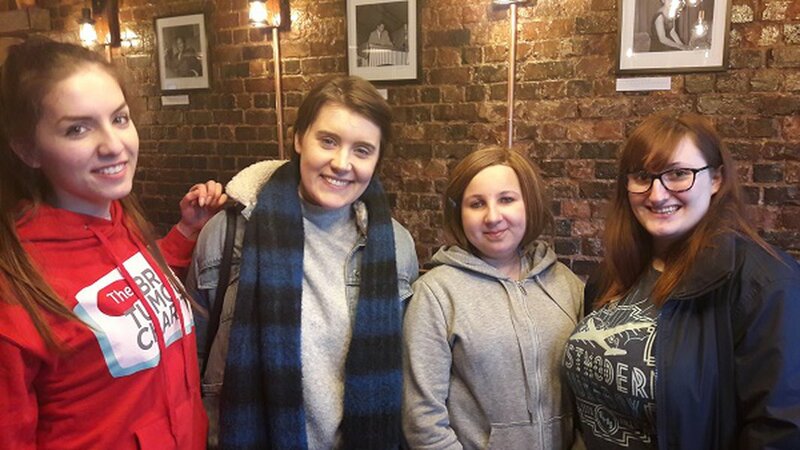 If you're aged 16-30 and living with, or beyond, a brain tumour diagnosis, join us at one of our young adults events and meet others that understand. Everyone is welcome, you can even bring a family member, friend or partner as your plus one. We're an informal and friendly bunch and the events are a fantastic way to meet new people who understand what you're going through. The events are free to attend, we ask that you register in advance so that we know how many people to expect and wouldn't want anyone to miss out. These dates are currently to be confirmed, join our community if you would like to find out about future events. Not making friends/anxiety – we guarantee you will. Everyone is in a similar boat and understands your situation so you're sure to make friends. Plus, our friendly team are there to help too. Fatigue – you'll be surrounded by people who understand and if there's anything you don't want to do, or if you just want some time to relax, this is 100% okay! “I won't be very good at…" – This is a relaxed space of supportive peers where it's not the winning but the taking part (and having fun) that counts. “I'm coming alone" – you're welcome to bring a plus one, however, you're sure to meet lots of people so don't worry if you do come alone; you soon won't be! If you have any questions please contact the Young Adults Team on YAS@thebraintumourcharity.org.uk. After months of chatting to each other on Instagram, Mary and Iona were thrilled to finally meet in person at our first young adults' meet up of the year in Birmingham. As Mary and Iona know, it can be a lifeline talking to someone who “gets it." Mary said, “When you try and explain what it's like to have a brain tumour to other teenagers, they just don't understand. But Iona does and I was so excited to actually meet her." Iona agreed, adding “The best part of the day was seeing Mary!" Events are free to attend, we do ask that you please register in advance so that we know how many people to expect.